According to a survey from the American Association of Orthodontists (AAO),the number of adult braces patients increased 14% in a 2-year period from 2010 to 2012, to a record high of 1,225,850 patients ages 18 and older. So what is behind this surge? Innovation. Accessibility. Knowledge. We are living in an era where there are more adult braces options available than ever before. And, with clear braces, Invisalign and Incognito lingual braces, adults can choose to straighten their smiles with barely anyone noticing. Another reason for the surge? More and more insurance companies are now covering adult braces making the treatment more financially feasible than before. The fact remains that adult braces means you will benefit from a healthier mouth, a healthier body, and a healthier self esteem. Adults get it. 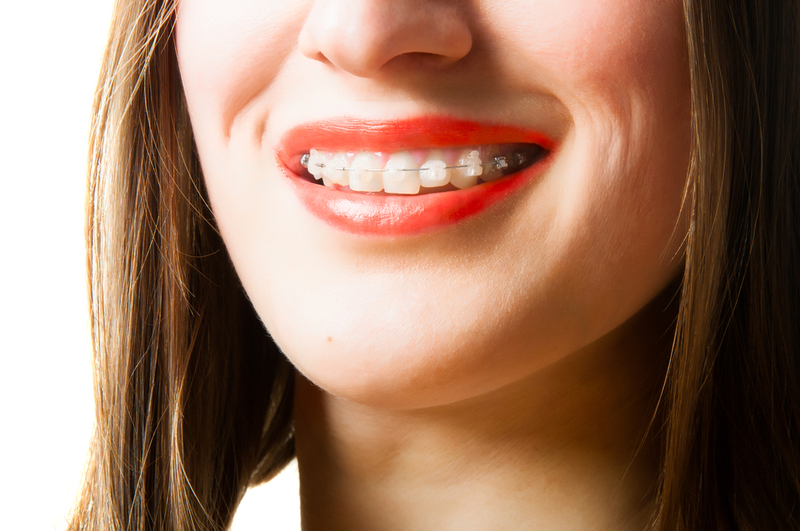 The benefits from adult braces are just too good to pass up, and why should you? Lingual Braces. Gaining in popularity among our professional and adult crowds because of the cosmetic advantage they present. Lingual (tongue-side) braces are bonded behind the teeth rather than in front so they are hidden when you talk and smile. Clear Braces. Similar in function to traditional metal bracket systems, our ceramic clear brackets system are designed to match the color of your teeth. Matching the bracket system to your teeth offers a cosmetic benefit to your adult braces treatment that many of our patients appreciate. Ceramic brackets used in the treatment are also more resistant to staining, helping to protect your smile and keep it looking its best during treatment. Invisalign. The clear, removable design of the Invisalign aligners system renders this option for adult braces virtually invisible to others. Using a system of progressive, custom-fit aligners, teeth are gently moved into their ideal position. This treatment method allows patients to eat, drink, and clean their teeth with ease. Short Term. For some patients, their primary goal is to align their front six teeth–the teeth that are most visible when you smile. To accomplish this, we offer short-term braces which align the front six teeth with no adjustment to the occlusion (bite). If this is your main goal in orthodontic treatment, and you want to have treatment completed in a short amount of time, our experienced orthodontists can evaluate your smile/occlusion and determine whether short-term braces will succeed for your needs. Dr. Hardy has adopted the latest orthodontic technology and treatment methods to help deliver to you a superior level of adult braces treatment with trusted results in a fraction of the time. Digital x-ray systems, digital impressions, 3D scans of your mouth all provide our doctors with the information they need to give you more accurate and more comfortable appliances that are better fabricated for giving you the results you desire. Another reason for the popularity of adult braces today is because of the accessibility of orthodontic treatment. Advances in science, medicine, and technology have given way to new innovations, better products, reduced product cost, and more efficient treatment. More and more insurance companies are now covering orthodontic treatment making adult braces more financially feasible than before. More adults today are seeking orthodontic treatment because they are more informed; they understand the difference braces can make in their oral and overall health. While obtaining a more beautiful smile and increasing your confidence is a great reason for seeking orthodontic treatment, it isn’t the most important reason. Crossbites or misaligned teeth make it easier for food to get trapped and for plaque to accumulate between your teeth making you more susceptible to the effects of decay and gum disease. Irregular wear of the tooth enamel of your teeth can also impact the strength of your teeth, weakening them overtime. Misaligned bites also lead to TMJ/TMD pain and chronic discomfort. Don’t set yourself up for problems by putting off orthodontic treatment that you need. The best way to find out how Belmar Orthodontics superior orthodontic technology can help you achieve your goals with adult braces is to schedule an appointment for an in-office consultation. Dr. Hardy can talk with you about your goals and come up with an effective treatment plan to help you achieve them. Contact our office today at 303.225.9016. We are excited to meet you and help you reach your smile goals!